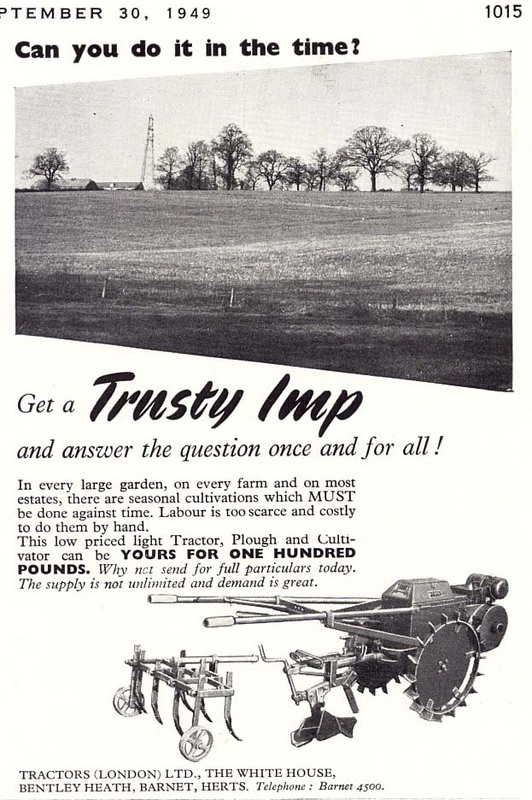 As a design the Trusty Imp was a very clever piece of engineering, using a Villiers 25 4-stroke engine to power a two-wheeled tractor; it used many parts from the standard Trusty Tractor and married them to a smaller, cheaper engine and implement. The intention was to produce a cheaper version of the Trusty and sell it for £100 complete with a plough and cultivator, so that the prospective buyer need not spend any more than the advertised price to produce a seedbed. The cultivator was produced in-house, but the plough was bought in from Lloyds of Letchworth. It was a semi-digger type plough which also kept the power requirement down, matching the lower-powered engine. 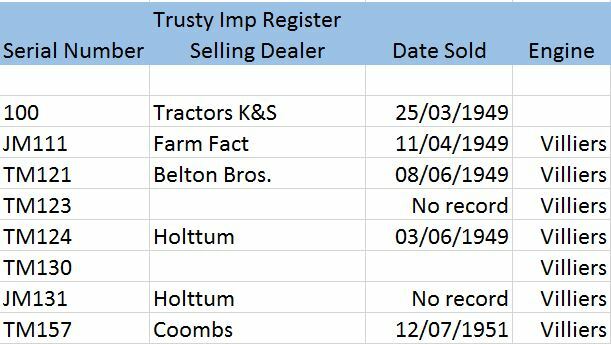 As a marketing exercise, however, it appears to have been a failure with only seventy tractors being sold. This is a very sought-after model from the Trusty range and is a very capable worker, despite the low volume of production.